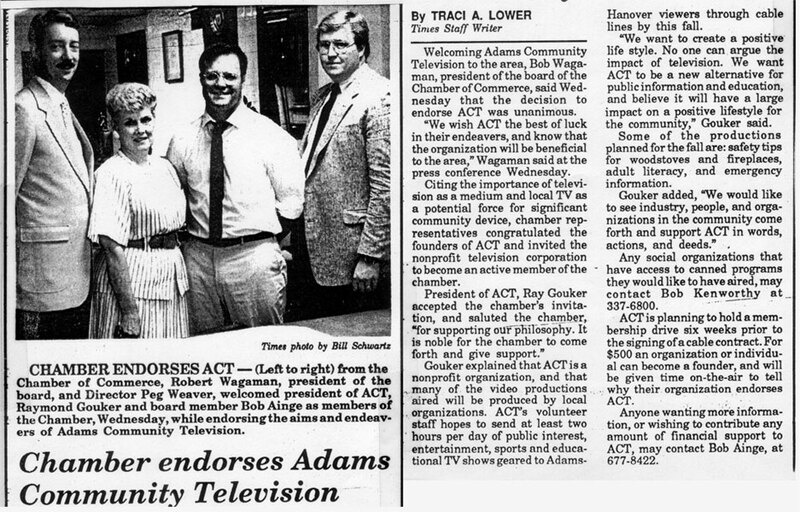 Community Media of South Central PA was founded as Adams Community Television(ACTV) in 1988. 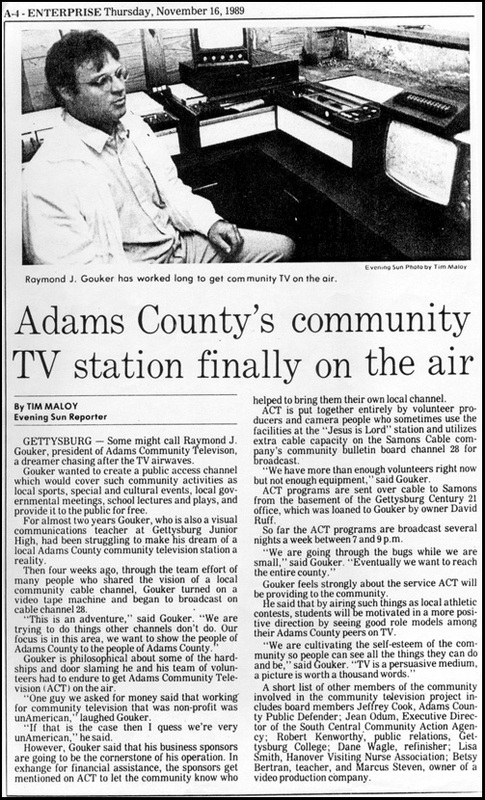 Adams Community Television was the vision of Raymond Gouker, a teacher of Visual Communications at the Gettysburg High School. 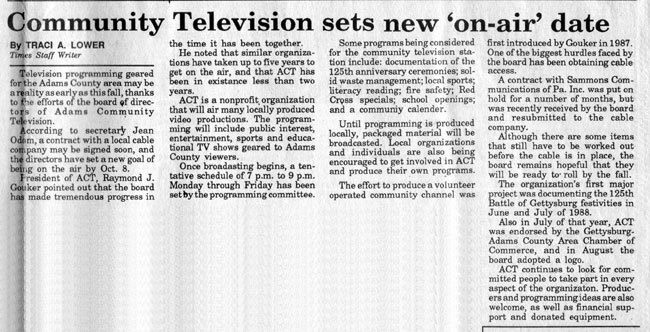 Raymond wanted to create a medium for Adams County and surrounding communities to showcase their local talents, history, people, cultural and athletic events, as well as provide a focal point to address issues and provide educational programming that will be of interest to and benefit local residents. 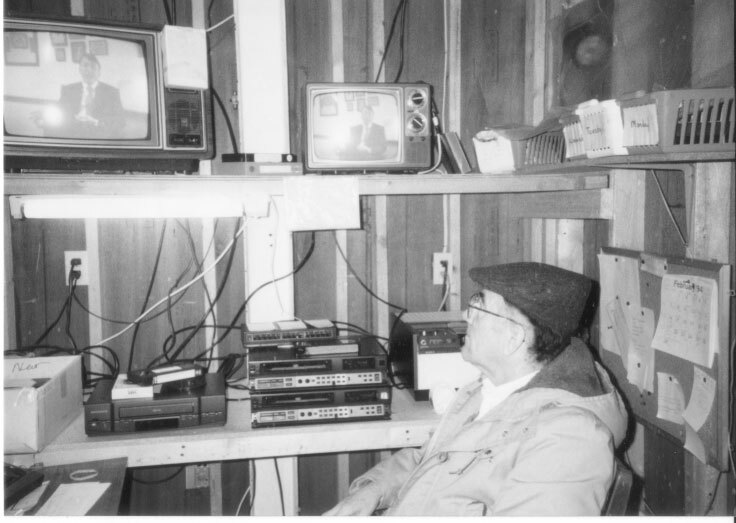 During the winter of 1985-86, Raymond Gouker called a meeting of a large number of representatives of various community organizations and businesses that he thought would be interested in such an adventure. 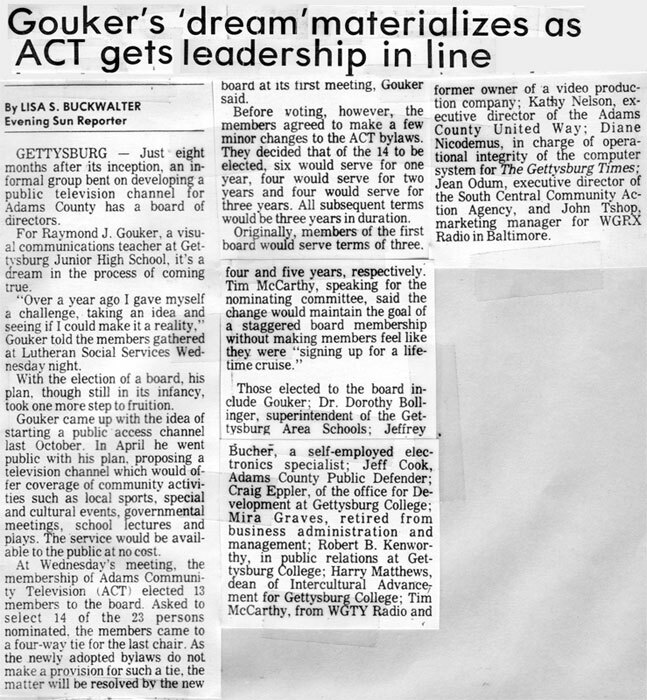 Included in these were representatives from the Gettysburg Area School District, Gettysburg College, Gettysburg Lutheran Theological Seminary, Gettysburg Chamber of Commerce, Gettysburg National Military Park, Gettysburg Library, Gettysburg Hospital, and Gettysburg Fire Company. Also included were a number of individuals who were interested in the project. 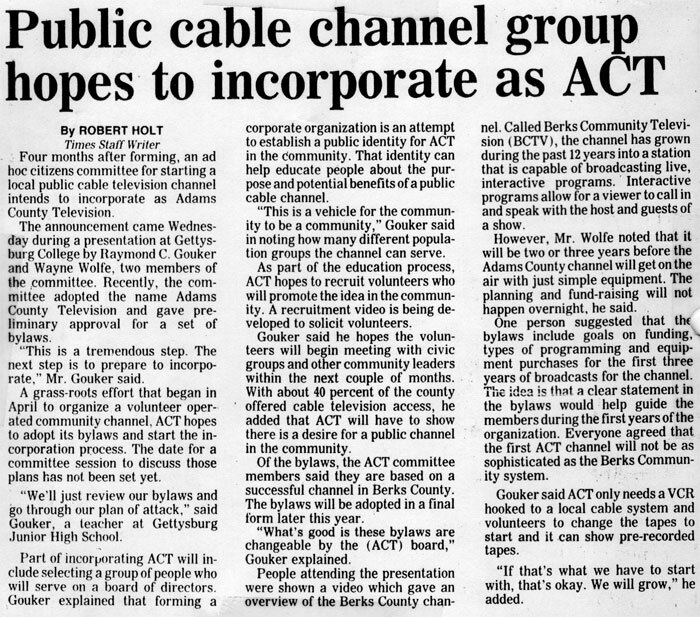 In 1988, ACTV formed their very first Board of Directors. 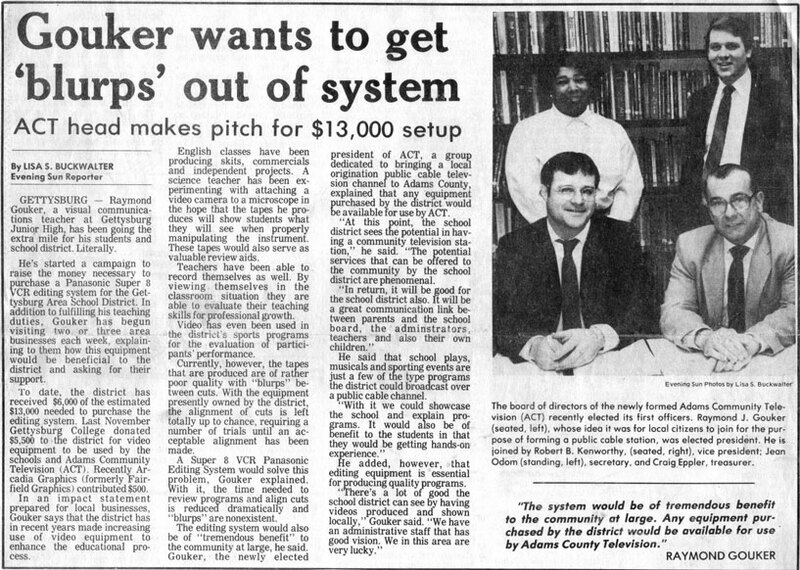 The ACTV Board of Directors felt that a medium like ACTV would be a tremendous benefit to the community. 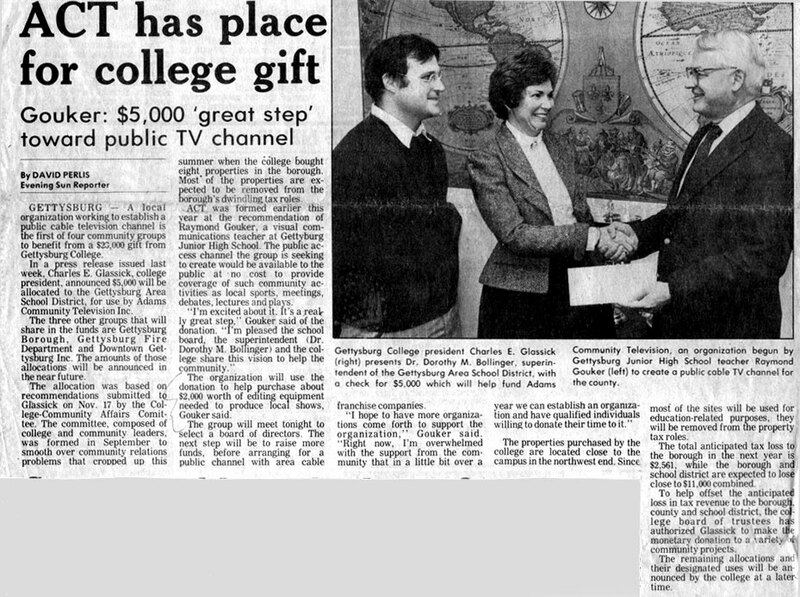 Their aim was to have cable access available and airing programs by September 1989. 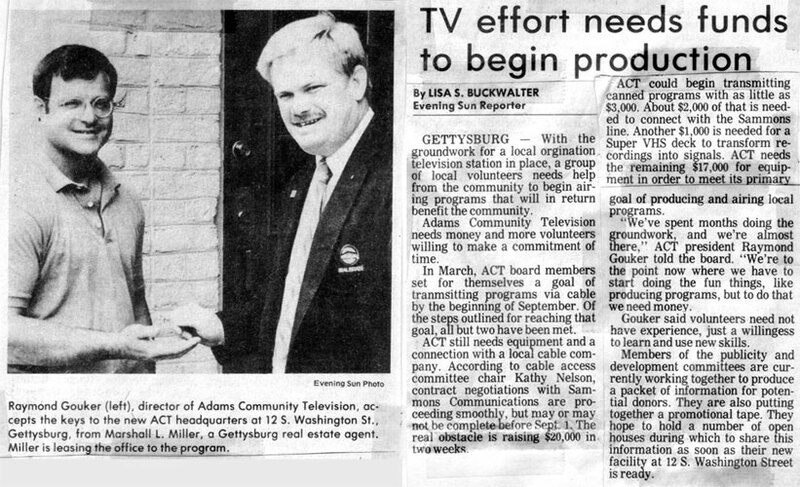 Some were skeptical about the success of starting a television station in Gettysburg. 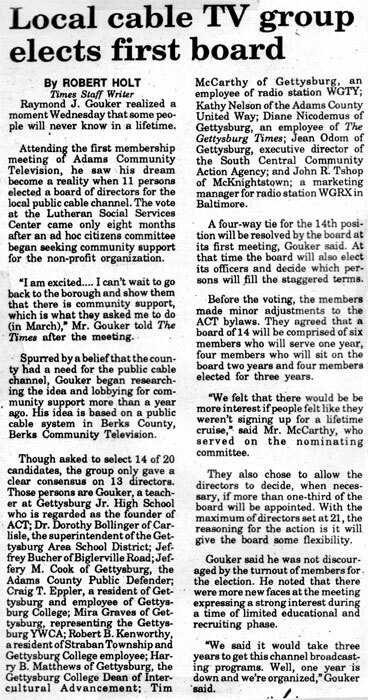 However, much to the surprise of the experts in the field, ACTV went on the air as a cable access television station in October 1989. 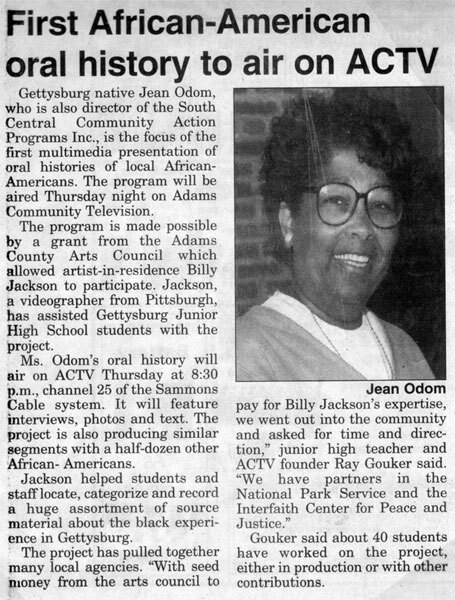 At this time, local productions of sports, community events, and news were beginning to be developed. By 1990, these productions were made into live shows. 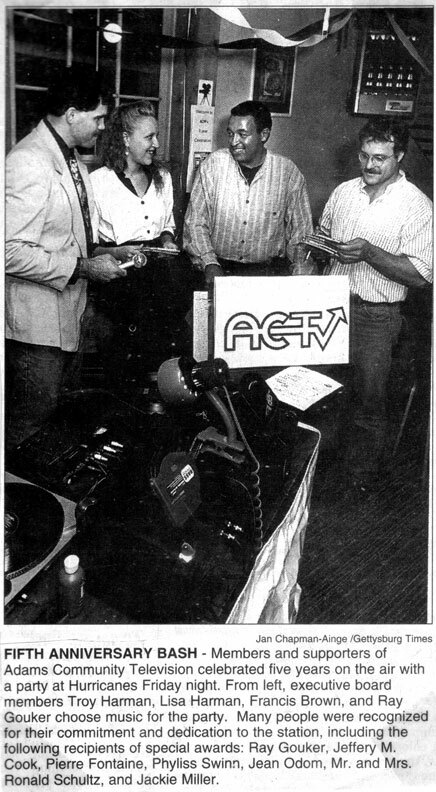 When ACTV first aired, it was telecasting five nights a week, two hours a night. 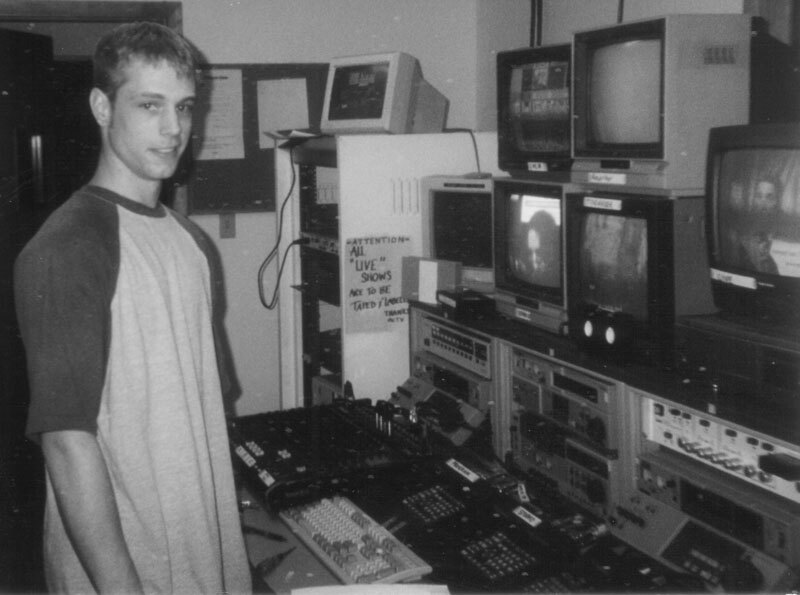 In 1998, the programming increased and added three more hours to the daily program schedule. Currently Community Media is on air 24 hours a day seven days a week. 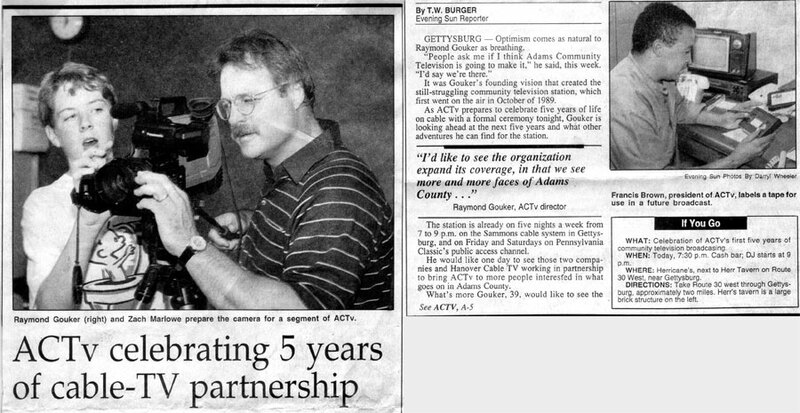 In the spring of 2004 ACTV made its programming available online, streaming the live signal 24/7 and adding tons of on demand content. Currently, Community Media can be seen in over 40,000 household in the Adams/York area.